Bestselling Authors International News | Honoring Bestselling Authors Across the Globe! 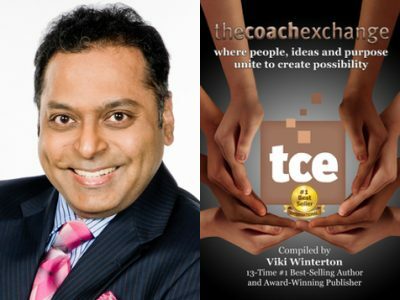 Congratulations to Makarand Utpat for his contribution to the #1 Int’l Bestseller, The Coach Exchange! for his contribution to the #1 Int’l Bestseller, The Coach Exchange. Makarand Utpat is a nationally recognized authority, best-selling author, blogger and speaker. He was selected as a Top 100 Influencer by Influence magazine. After losing his job and finding his back against the wall, he went back to the drawing board and built a strong personal brand that is independent of any title, role or designation. He advises businesses, professionals and startups on branding, marketing and social media strategies. He is a dedicated father and husband, loves to cook in his spare time, and is a professional musician on weekends accompanying local bands. We have taken over 1,500 Authors to Bestseller! Will you be next? We have taken over 1,500 authors to Bestseller! 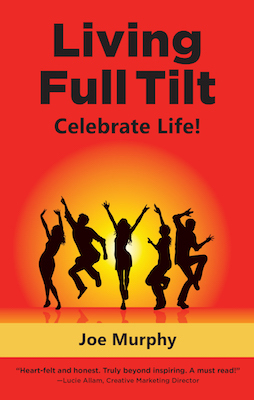 Joe Murphy’s Living Full Tilt: Celebrate Life! will soon be the latest! With years of experience in sales, retail, training and coaching, Joe Murphy’s warmth, engaging style and gentle guidance leads to insightful self-understanding, empowering readers and clients alike to clarify and focus their drive while discovering their authentic self, identify thus break through the obstacles standing in their way of attaining their goals and accomplishing their dreams. His new book is a wholesome guide to help readers across the globe live their lives to the fullest. The book encompasses many serious topics while maintaining a light-hearted and honest tone, making this new release an essential yet easy read for people from all professions and all walks of life. Praised by many, Murphy’s unique knack for wisdom and happiness is persistent throughout the book. The new book reinvents spirituality and helps readers integrate it into their modern lives. It inspires readers to change how they perceive good and bad incidents in life and provides vital insight on how to enjoy the journey of life day by day. With his unique wisdom combined with his practical guide on dealing with daily occurrences, Murphy beckons readers to maximize their potential for happiness and fulfillment in every field of life. According to Murphy, the root cause for happiness is ultimate self-love and forgiveness in order to grow and expand. 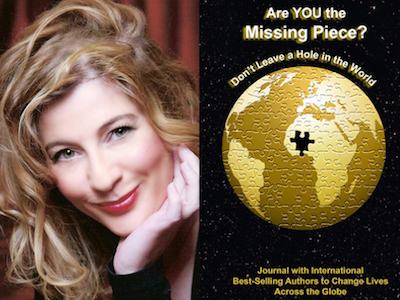 Elisabeth Balcarczyk is featured in Expert Insights’ #1 Int’l Bestseller, Are YOU the Missing Piece? 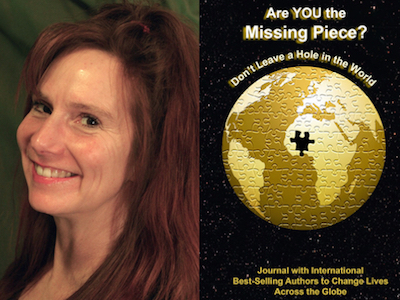 #1 International Best-Selling Book, Are YOU the Missing Piece? ~ Don’t Leave a Hole in the World! Elisabeth Balcarczyk, M.A., PCC, is the Founder of Body Mind Soul Coaching, Transformational Leadership Workshops and Retreats Leader, and an Author based in Germany. 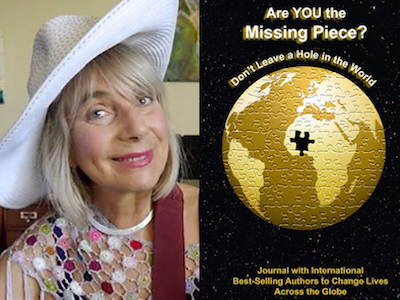 Laurie Lovefire Roth is featured in Expert Insights’ #1 Int’l Bestseller, Are YOU the Missing Piece? Laurie Lovefire Roth, M.A, M.S., is a licensed Marriage Family Therapist, Author, Sound Healer, Joyshop Facilitator, Hypnotherapist, Performer, Musician/Composer, and former Radio Show Host. 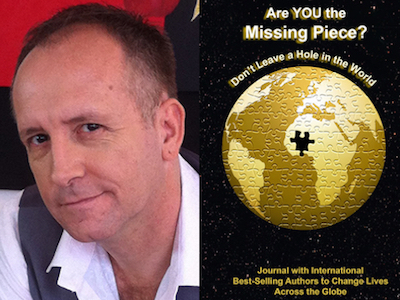 Jayc Ryder is featured in Expert Insights’ #1 Int’l Bestseller, Are YOU the Missing Piece? Jayc Ryder is an Internationally Acclaimed Celebrity Psychic Medium, Author of 3 Intuitive Guidance Books, Online Entrepreneur, Speaker, and Intuitive Coach creating clarity through Conscious Connection. Tantra Bensko is featured in Expert Insights’ #1 Int’l Bestseller, Are YOU the Missing Piece? Tantra Bensko is a Gold Medal Novelist of “The Agents of the Nevermind” psychological suspense series about social engineering, a Writing Instructor with UCLA and elsewhere, and a manuscript editor. 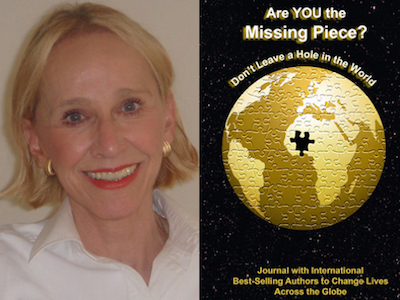 Dr. Helena Steiner-Hornsteyn is featured in Expert Insights’ #1 Int’l Bestseller, Are YOU the Missing Piece? Dr. Helena Steiner-Hornsteyn is an International Speaker, Psychic Healing Coach, President of EnergyWorks International Inc. & Activale, and Best-Selling Author of The White Light-A Limitless Reality.